In this first installment, Isabel is attending a concert in the Usher Hall when she witnesses a man fall from the upper balcony. Isabel can’t help wondering whether it was the result of mischance or mischief. Against the best advice of her no-nonsense housekeeper Grace, her bassoon playing friend Jamie, and even her romantically challenged niece Cat, she is morally bound to solve this case. Complete with wonderful Edinburgh atmosphere and characters straight out of a Robert Burns poem, The Sunday Philosophy Club is a delightful treat from one of our most beloved authors. Alexander McCall Smith is the author of the huge international phenomenon, The No. 1 Ladies' Detective Agency, and The Sunday Philosophy Club series. He was born in what is now known as Zimbabwe and he was a law professor at the University of Botswana and at Edinburgh University. He lives in Scotland, where in his spare time he is a bassoonist in the RTO (Really Terrible Orchestra). Isabel Dalhousie is a single, wealthy, literary woman of settled habits with a strong interest in moral behavior. In what ways is she a model female sleuth, and in what ways is she a surprising one? How does she compare with other female detectives in literature? Cat is annoyed at Isabel's tendency to get involved in things that are none of her business. Isabel insists, on the other hand, that the man who fell from the balcony entered her "moral space"—and that she therefore has a moral obligation to him. Is Isabel correct in arguing for proximity as a basis for moral claims? Isabel raises the question of unequal desire in love when she reflects, "We do not like those who are completely available, who make them­selves over to us entirely." Do you feel this accurately reflects Cat's emotional reaction to Jamie? Does this explain Isabel's continuing interest in John Liamor? 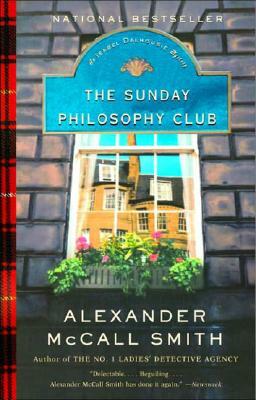 Why is the novel called The Sunday Philosophy Club, if the club seems to be purely notional, never having met? Are readers the members of this club, as if by reading the novel they are entering into Isabel's mind, which is constantly engaged in philosophical questioning? It is Neil who comes to Isabel and tells her of Mark Fraser's knowledge of insider trading at his firm, thus turning the case into an investigation of a murder. How surprising is the ultimate revelation of how Mark died, and why? How is the crime's solution linked to the theme of truth and honesty? The Edinburgh setting is a crucial element of The Sunday Philosophy Club. It is a city where respectability is highly valued, but, according to Isabel, is also built on hypocrisy. Is Isabel an exemplary product of Edinburgh's Protestant bourgeoisie, or not? What aspects of her life, or her character, place her in the position of outsider? Who in the text best represents traditional Scots respectability?